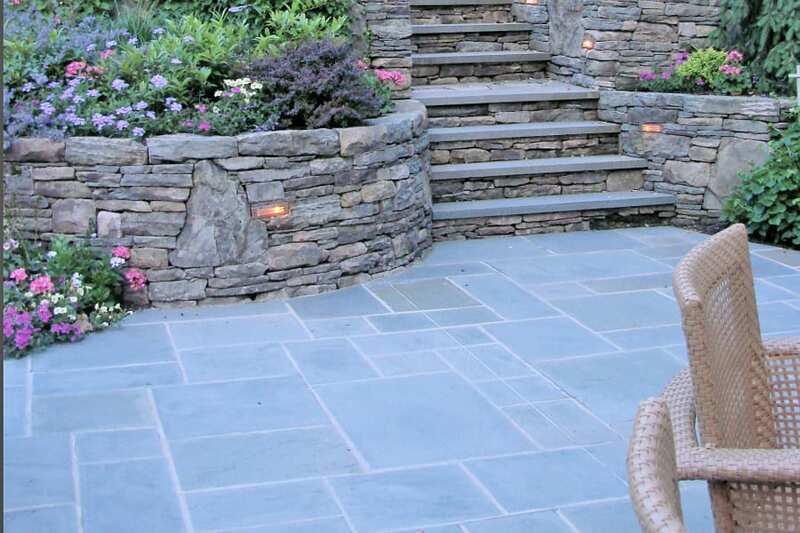 Bluestone Blue Blue Patio, Walkway and Pool Deck Stone is a popular choice at Wicki Stone. All pieces are selected for their blue and silver colors, there are no earth tones in this stone. The Natural Cleft finish is slightly rough. Some people feel that this stone has a more contemporary feel verses, full range color bluestone. We feel differently but the bottom line is you have a color choice in pattern bluestone patio, walkway and pool deck stone, either full color or blue blue. 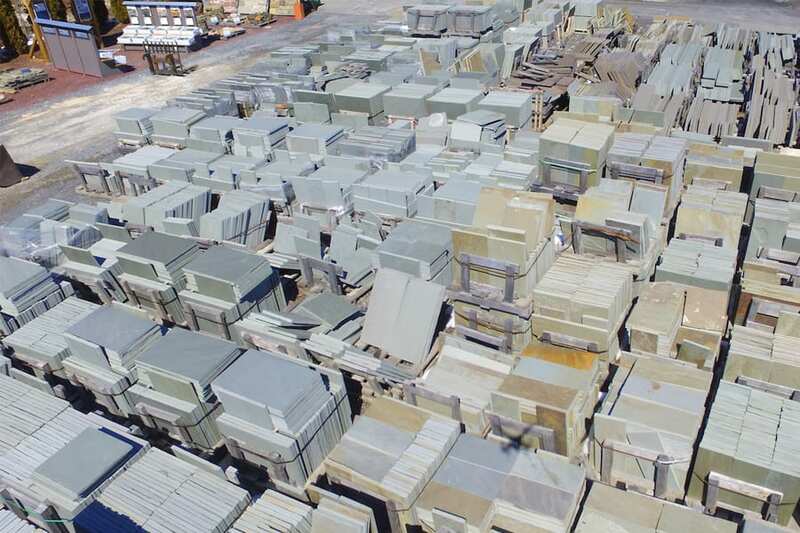 We stock a very large inventory of Bluestone Blue Blue Patio, Walkway and Pool Deck Stone at our 10 acre New Jersey stone yard. 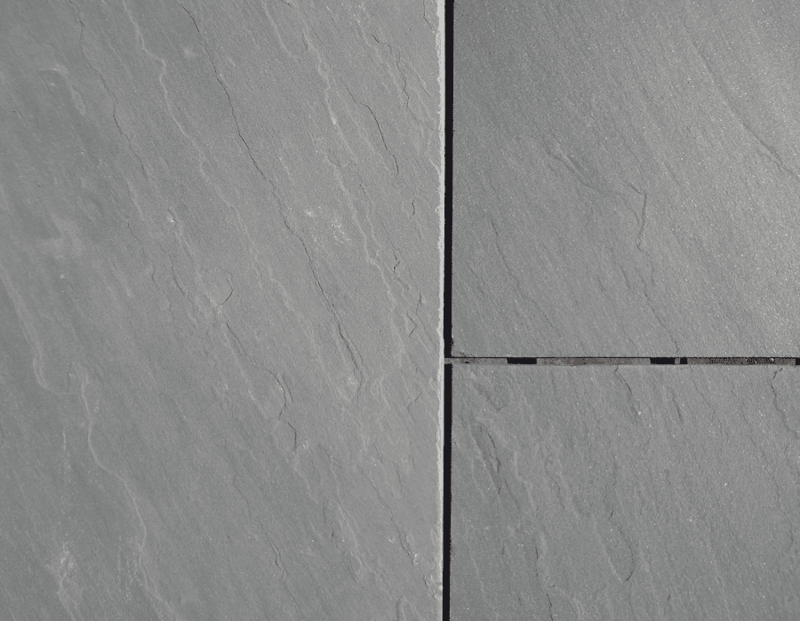 Bluestone Blue-Blue color, Natural cleft (slightly rough) finish, pattern walkway and patio stone. One of the 4 major types of bluestone walkway and patio stone. A mix of blue-gray tones and a slightly rough surface. Split along naturally occurring veins, the result is a slightly rough surface. One of our most popular walkway and patio stones. 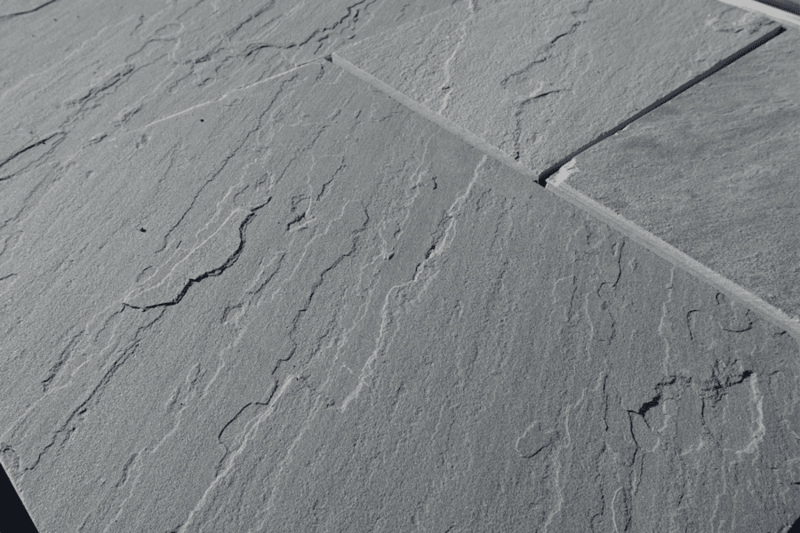 Two primary features - uniform blue-gray color of blue-blue bluestone, and the natural cleft texture provides a slightly rough look, but with consistent colors. This is easy stone to work with. There are 2 basic bluestone colors - Blue-Blue and Full Range (sometimes call Off Color). Blue-blue includes only the bluish-silver tones of bluestone, where Full Range Color (Also Called Off-Color) brings in earth tones like brown, rust, tan, even green.